Quality Wollensak brand. 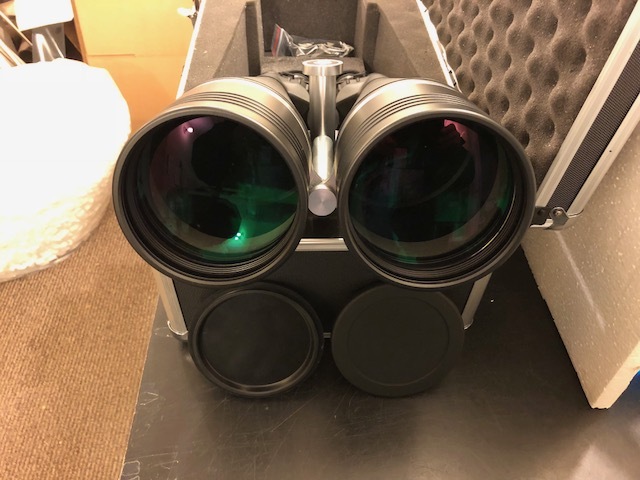 Huge 100 mm diameter achromatic objective lenses provide incredible astronomical and terrestrial views with their exceptional light gathering power. 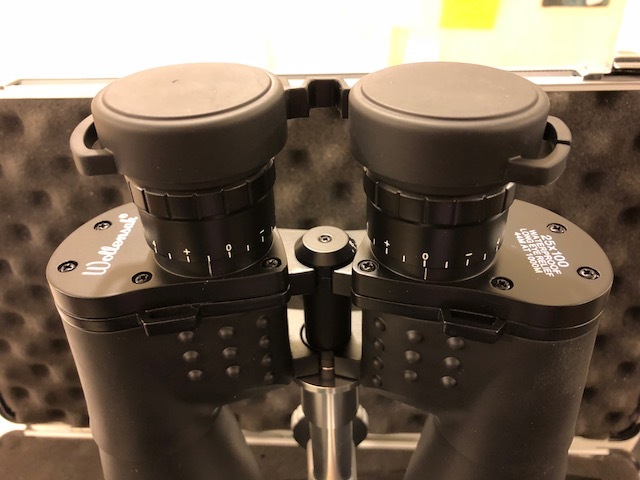 Optics are fully multi-coated. 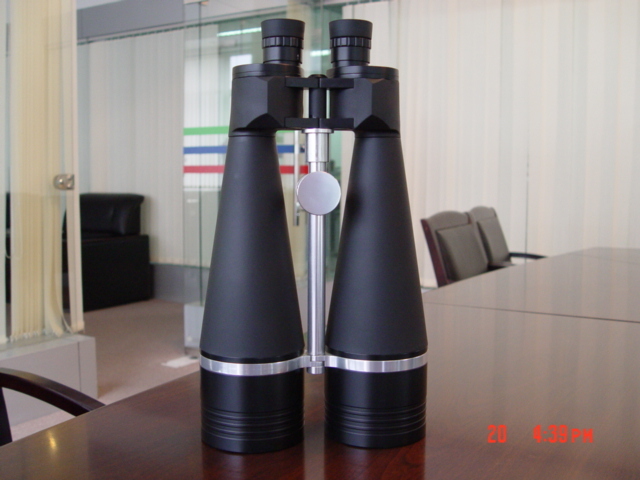 Has a 63 degree apparent field of view, an 18mm eye relief, Bak4 prisms, fold down eyecups and other great specs. 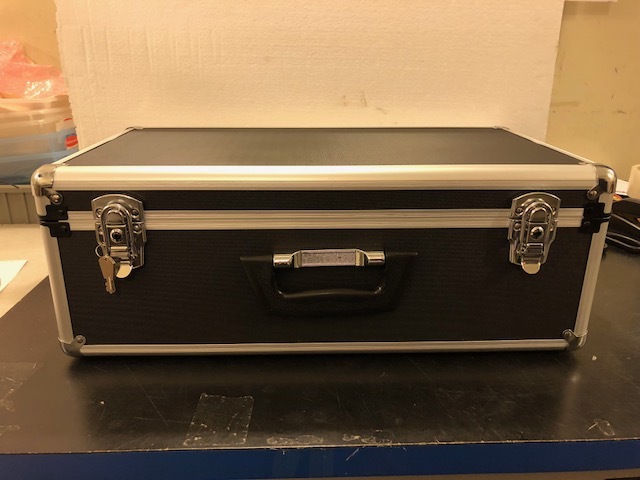 They are waterproof and come in a hard case as shown in our fourth photo.